We’ve always thought this process took a bit of coding and porting from Verizon ROMs to Sprint ROMs but in my recent findings show that you can actually get Verizon ROMs working on Sprint Galaxy phones fairly easily by adding APN and using 3rd-party SMS app to get MMS send working. Last week, I was able to get everything working except MMS sends, which was a bugger since many of you send lots of MMS messages daily. Well, thanks to HighOnAndroid.com user kvelez, we are also able to get that working with a 3rd-party SMS app. It seems the the Verizon custom ROMs come with its own Verizon MMS setting, which cannot be altered just with APN. By using 3rd party app, we are able to circumvent around this problem. And the result? You can install any Verizon TouchWiz ROM on Sprint Galaxy phone! Here’s how to do it, step-by-step! Step 1. First, you will need a rooted Galaxy phone with CWM or TWRP recovery installed. For Galaxy S5, see How to Root Galaxy S5! 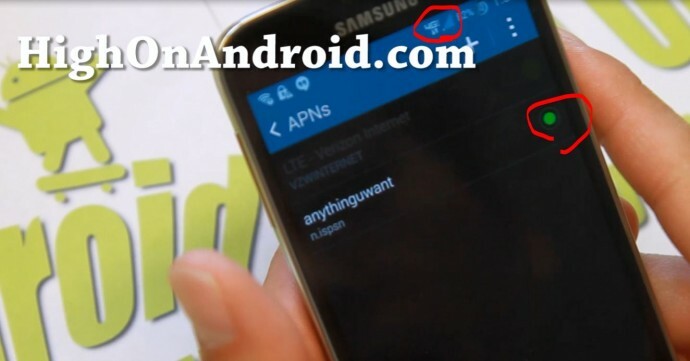 For Galaxy S4, see How to Root Galaxy S4! For Galaxy S3, see How to Root Galaxy S3! 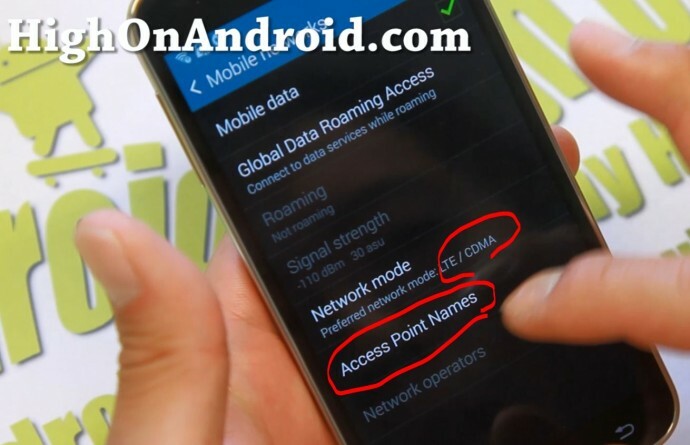 For Galaxy Note 3, see How to Root Galaxy Note 3! Step 2. Second, you will need to install Verizon custom ROM on your Galaxy phone. Step 3. Once you have installed a Verizon ROM on your Sprint Galaxy Phone and booted up successfully, go to Settings->Mobile Networks and make sure “Network mode” is set to “LTE/CDMA”. Step 4. Hit the “+” button to add new APN then set the Sprint 4G LTE parameters. Step 5. Once done, hit “Save” and you should see 4G LTE light up. This means your Sprint data is not working, your 3G and 4G LTE should work flawless along with your voice calls. Step 6. Also you should be able to send/receive SMS and receive MMS messages. But MMS sends will be broke! This is again because the Verizon custom ROM comes with hard-coded SMS app, which defaults to Verizon and does not work for sending MMS on Sprint’s network. 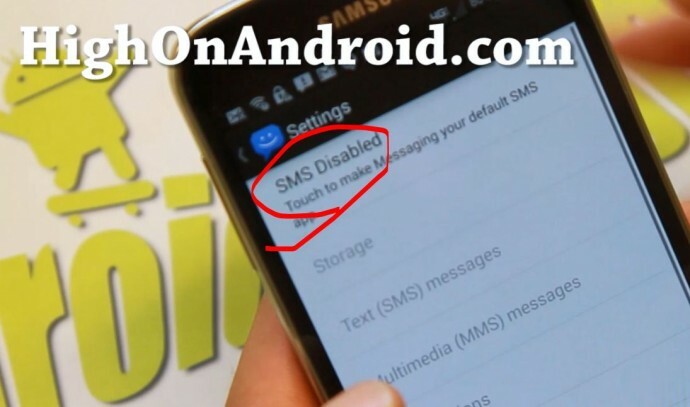 UPDATE: There’s another method you can get the default Samsung MMS app to work, you simply need to pull SMS app from any Sprint ROM and copy over to your phone using ES File Explorer. To install the MMS file, use ES File Explorer, hit Menu->Tools->Root Explorer and turn it on and also enable R/W for /system partition. Then copy the MMS file over into /system/priv-app folder and overwrite the existing apk file. Then select the MMS file and hit Properties and set it to “Read Write, Read, Read” or “RW- R– R–“. Then reboot. Your MMS should work now without using 8SMS app. To get around it, install 8SMS app from Play Store. Step 7. Open the 8SMS app and go to Settings and enable “SMS”. This will replace the existing SMS app but will let you send MMS messages. That’s it! Now you can enjoy Verizon and Sprint custom ROMs on your Sprint Galaxy S5, S4, S3, and Note 3! Q: The Verizon ROM is not booting!!! A: Some Verizon ROMs may require you to have the latest bootloader. E.g. If installing 4.4.4 ROM and you have 4.4.2 bootloader on your Sprint device, you may have to install Sprint 4.4.4 bootloader. If it doesn’t exist yet, you may have to wait until it does. Q: I have a question! A: Please post your questions below in the comments box. Will work with international Galaxy S3? (GT-I9300)? No this is only for Sprint devices. What’s a good daily driver Rom to use on the S4? Can you install sprint roms onto a Verizon galaxy s5? If you figure out how to do that i will be first to make a video tutorial for it. To get MMS working in the native text messaging app, use http://mms.plspictures.com. Then MMS will work again like normal. Your welcome and thanks for the great tutorial! Contacts Galaxy S4 Sprint. the rom is working But I can not import/export my contacts. i keep getting the message “unfortunately, contacts has stopped. Hi Max, if I install Verizon ROM on my Sprint Samsung Galaxy S4 Mini, will it enable international carriers and GSM Networks? Max will this effect the flash on a sprint note 3 that has been flashed to straighttalk (verizon? Does this work for sprint galaxy note 2? Max, I assume if I install a Verizon ROM on a Sprint S4 and then use a Verizon SIM the phone will become a Verizon phone. So, if I use MultiROM to boot multiple ROMs, could I have 2 ROMs boot selectable, one Sprint, one Verizon and then insert the corresponding SIM to have a phone that can operate on either network. Do you have plans to do a video on MultiROM. will this work on a sprint note 4? Is there a lollipop version of this? Or is there a lollipop version of AllianceRom? Can i do this on a galaxy s6? Hi would this work on a G900R4? I been having a really hard time getting this phone to work with a non uscellular firmware or to get the invalid sim message out of my phone. 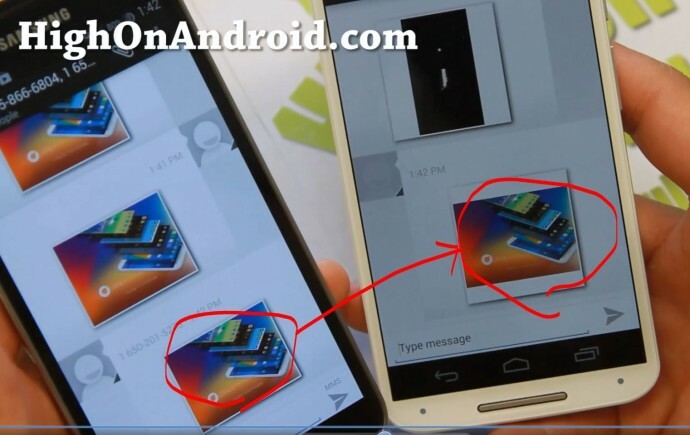 Next story LiquidSmooth ROM – HighOnAndroid ROM of the Week! Previous story Moto 360 Giveaway Contest!